Despite saying nothing about the three (or four) musketeers in the title, The Vicomte de Bragelonne is indeed a Musketeer book. However, it takes place some thirty years after the events of young D’artagnan riding into Paris with the aspiration of becoming a musketeer. In the process, if you recall, D’artagnan offended three men who were already musketeers (Porthos, Athos, and Aramis) and made appointments to meet all three of them at the end of a sword. Despite this rocky start, they became best of friends. But thirty years later they have gone their separate ways. This book is quite lengthy and actually contains three separate story arcs, the third of which doesn’t satisfactorily resolved. It was written in serial format, appearing between 1847 and 1850–and this is really just the first 93 chapters of 263. Because this book is continued in Louise de la Vallière, and The Man in the Iron Mask. Anyhow, this book is loaded with clever repartee, court intrigue, and derring-do. It’s hard to top the literary virtuosity of Dumas. 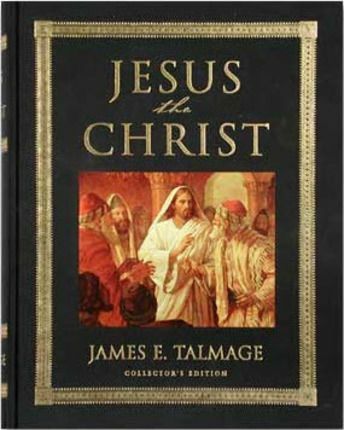 This is a comprehensive study of the life of Jesus Christ, the most important historical and spiritual figure since the world was formed. The book was enlightening on several counts. It goes into the Jewish society and customs of the day and this sheds understanding on a number of things Christ said during his ministry. This story takes place before St. Cyprian meets his apprentice Ebe Gallowglass and when St. Cyprian is the mere apprentice for the previous Royal Occultist Thomas Carnacki. There’s a lot of awesomeness packed into a very short tale: The trenches of the Great War, flesh-eating human/simian mongrels, and a Lewis Gun. The Charnel Hounds is available through Josh Reynolds Patreon site. ‘Spits nor tacks’ is a phrase derived from a Muvari game in which darts are thrown at increasingly small targets. When a player gets behind in points he can attempt to steal another player’s points by striking or ‘tacking’ the other player’s dart through the feathers. Sometimes players will lick or ‘spit’ on their fingers with the idea that perhaps this will improve their grip upon the dart and allow them to throw more accurately. Because this strategy of ‘tacking’ another player’s dart is extremely difficult, and a bit of saliva on the fingertips rarely helps the throw to succeed, the phrase “spits nor tacks” evolved to indicate a pointless or meaningless thing, gesture or action. Martian telepathy is possible only between male and female. Even so, it is prevalent only among certain tribes–the Muvari being one of them. Garvey’s ability to communicate telepathically suggests a latent ability in some born of Earth. Among the Muvari, telepathic communication is generally reserved for use between spouses, as it usually is activated only by touch with one’s partner. There are some notable exceptions to this though, as animal shamans are known to communicate and command their animals telepathically. Lana Dire broke the intimacy taboos of the Muvari Tribe and used telepathy to communicate with Garvey, a man who, at the time, wasn’t lawfully her husband. When Garvey released her from the stasis loop in which the Warlord Shaxia had trapped her, she found that she and her savior spoke different languages and so touched him to bridge the communication gap. This enabled them to speak and flee the torrack eunuchs who were attempting to slay them. Her second communication was inadvertent after Garvey Dire had been poisoned in his death duel with Bray Kraz. The communication, Lana knew, had been meant for her sister Ntashia, but she had picked up on it as well. Since she was, by virtue of Clivok’s death, technically affianced to Garvey, pending the ceremony, this was no longer taboo. The first time she had communicated with Garvey she had touched him, but the second time she had merely been within close proximity. During their marriage, this ability to communicate without touch increased, but never to the same extent as Garvey and Ntashia, who could pass thoughts at a much greater distance. This is a monstrous (50+ hours of audio listening) and quite informative overview of the good and bad of the history of the United States. In reaching the end of the book, I was struck how George W Bush comes across as a much better president than I remember. It highlights his decisive leadership in the wake of the 9-11 terrorist attacks that brought down the twin towers of New York and ends before his fiscally irresponsible 700 billion dollar bailouts of the banks. I’ve got a story (The Burial Mound) in this one that includes Native American gunfighter Lone Crow, the wild-haired and quick-tempered Six-Gun Susannah Johnson, and pistolero extraordinaire (how’s that for mixing languages?) Isidro Acevedo. Of the other stories there was one that struck me as though it might feel right at home in the pages of Weird Tales (the old one). Killing of Black Bill by Joshua Gage is about jackalope fighting and has a suitably dark ending. This chapter includes a glass eye that serves as currency between our intrepid adventurer Dillon and a Cleaner who is disposing of numerous corpses for him. It also includes a mystical gemstone that possesses the beautiful Professor Ursula Van Houghton. Plenty of weirdness going on in this chapter. The sinthral are a race of monstrous half-human half-spider creatures who inhabit portions of the Rift and perhaps other remote places on Mars. The legendary lost tribe of Brecknar is said to worship the spiderous sinthral and make them human sacrifices. To the Muvari Tribe, the idea that the life of a tribal member would be esteemed at so little value is revolting. So to the Muvari, to suggest someone be made a sacrifice to the sinthral is to suggest they are utterly worthless to their tribe–an insult of paramount gravity. The ceremonial taking off the earring generally indicates a breaking of the marriage–something rarely allowed according to Muvari Law–or the decession of a spouse, so it is a sad and solemn occasion. In the case of a husband’s death, Muvari Law requires for the brother-in-law of the senior wife’s oldest sister to take over a family’s assets. This includes marrying the wives of the deceased man and taking over responsibility for providing for any children. However, if both the brother-in-law and the wife of the deceased husband agree, they can solicit for a marriage of circumstance. In order to do this, the prospective wife must find an eligible male that will agree to marry her. In the case she cannot find an alternative husband, she must marry the brother-in-law. This custom is enforced because it ensures children will always be provided a family unit to watch over them. Though most Martian tribes have instituted polygamy in order to perpetuate their tribes, which generally have a disproportionate amount of females to males (usually in the range of 12 to even 17 to one females per male), polygamist marriages are not without their challenges, especially in a society where females are taught to aggressively defend the males of the tribe. This tendency toward aggression can spill over into relations between companion wives who share a husband. Generally, the husband is responsible for mediating and settling disputes between wives, but if the husband refuses or abdicates his responsibility then one wife may challenge another to a duel. To do this, she removed the earring symbolizing her marriage and hurls it to the ground at the feet of the challenged wife. The challenged wife may accept the duel by picking up the earring. If she does not pick up the earring she must accede to the demands of the challenging wife.